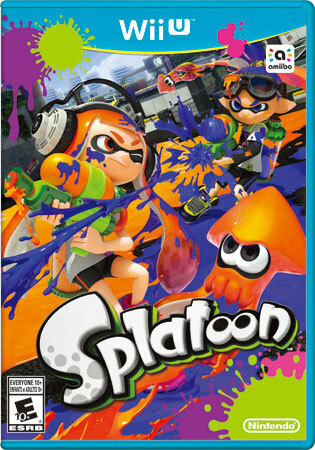 Nintendo’s newest franchise, Splatoon is now available on Wii U. For the past 3 week Kidzworld has been releasing game tips and info on some of the wacky characters, weapons and game modes! Wii U Splatoon "Splat The World"
Team up and take on other teams in an action-filled battle to cover the level with as much ink as possible. Spray walls to access hard-to-reach areas. 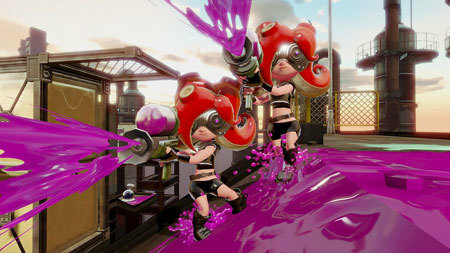 Covering more territory with ink unlocks powered-up super weapons that can be used to attack rivals or cover more turf. Strategy is everything. Defeat enemies to splatter them in an explosion of ink, covering more turf for your team. But choose wisely: Players who only go after the enemy might find their turf redecorated in their enemies' colors. Refill ink tanks, hide from opponents or move faster by turning into a squid and diving into the ink with the tap of a button. Select between multiple control options on the Wii U GamePad controller, including using gyroscopic controls to look around, allowing for better aiming and control. Hop online and battle in four-on-four matches. Are you excited to play Splatoon on Wii U? Comment below and let the other Kidzworld users know! Have you played Splatoon on Wii U?